NEW YORK (December 15, 2017) – Today, the Ms. Foundation for Women announced Yin Ling Leun, Jenna Scanlan, and Rinku Sen as new members of its distinguished Board of Directors. The three new Board Members bring expertise in racial justice, healthcare, direct activism and more to the board of the nation’s oldest women’s foundation. 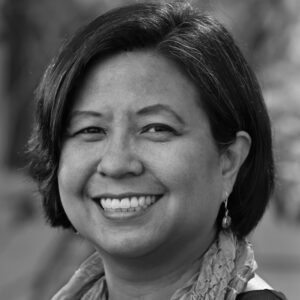 Yin Ling Leung is the Chief Strategy Officer and the co-founder of Applied Research Works, a Palo Alto-based health technology company, where she works on her passion creating actionable metrics for addressing Whole Person Care (WPC) a framework for addressing health disparities. Leung held key leadership roles at Asian Immigrant Women Advocates, Asian Pacific Environmental Network, Asians and Pacific Islanders for Reproductive Health and the National Asian Pacific American Women’s Forum (NAPAWF). She was one of the original organizers and founding sisters of NAPAWF, the first national organization of its kind born out of the 1995 United Nations’ Women’s Conference in Beijing. Leung has also served as a strategist to the New World Foundation, Ford Foundation, Social Justice Fund Northwest, Women’s Funding Alliance, Communities for a Better Environment, Asian Americans/Pacific Islanders in Philanthropy and the Ms. Foundation for Women. 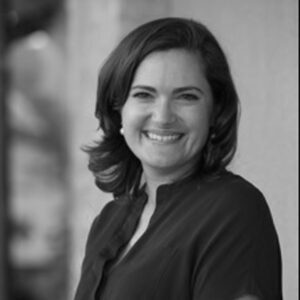 Jenna is an educator and a mother who believes in the transformative powers of activism, philanthropy, and education. She taught elementary school in the bilingual program of the Santa Fe Public Schools for six years, and remains a licensed educator in the state of New Mexico where she is currently raising her three children. Scanlan is a member of the Advisory Committee of the Envision Fund at the Santa Fe Community Foundation, which works to enhance the lives of LGBTQ+ New Mexicans, and she is a member of the Santa Fe Hestia Fund, a women’s giving circle that strives to increase the high school graduation rate in Santa Fe by focusing on middle school student engagement. Scanlan is also a member of the Board of Directors of the Santa Fe Farmers’ Market Institute, and a trustee of a small family foundation. 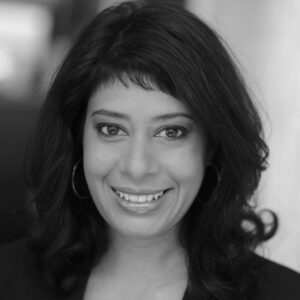 Rinku Sen is a Senior Strategist at Race Forward, where under her leadership the organization has generated some of the most impactful racial justice successes, including the groundbreaking Shattered Families report, which changed the immigration debate with investigative research on how record deportations of parents were leading to the placement of thousands of children in foster care. She previously served in leadership roles at the Center for Third World Organizing (CTWO), where she trained new organizers of color and crafted public policy campaigns. Sen was the architect of Drop the I-Word, a campaign for media outlets to stop referring to immigrants as “illegal,” is an author of Stir It Up and The Accidental American: Immigration and Citizenship in the Age of Globalization, and is a contributing writer for Colorlines. Also serving on the Ms. Foundation for Women’s board are Susan Dickler, Jocelyn Frye, Jenna Bussman-Wise, Lynn Malerba, Eve E. Ellis, Heather Arnet, Lauren Embry, Cathie Hartnett, Alicia Lara, Suzanne Lerner, Simone N. McGurl, Seth M. Rosen, Gail Wasserman, Tom Watson, and Catherine Yelverton. For more information regarding the Ms. Foundation board, please visit ForWomen.org/about/our-board/. For more than 40 years, the Ms. Foundation for Women has secured women’s rights and freedoms with a special commitment to building the power of low-income, immigrant and women of color. The foundation invests funds, time, expertise and training in trailblazing organizations nationwide.